The DashMat Original dash covers were designed to protect your dash from harmful UV rays, dirt, and dust. The DashMat Original dash cover is made with soft Fiber carpet that is proven to stay intact and won't fray. The Original dash covers are custom tailored to fit the exact specifications of your vehicles unique dash. Windshield glaze is caused by gasses seeping in through the dash, the DashMat Original dash covers were designed to dramatically reduce this. 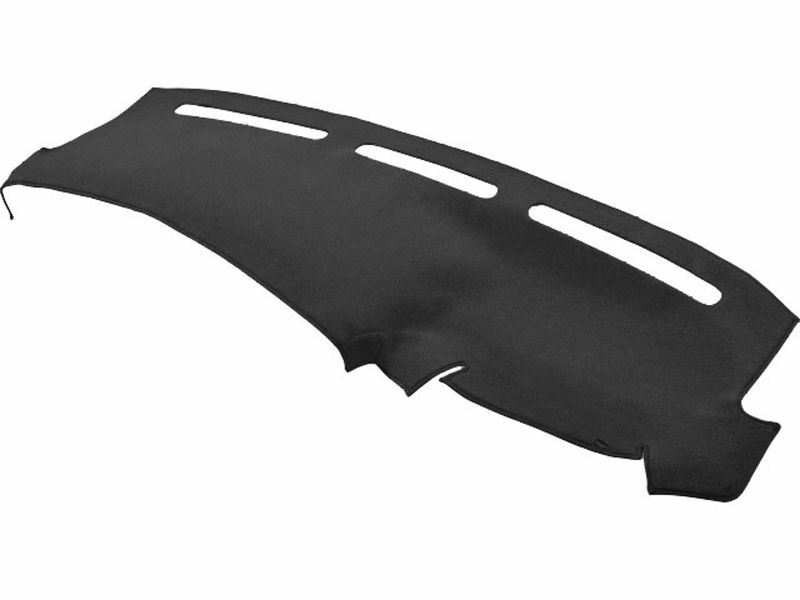 DashMat buys a replica of your dash to use as a template ensuring a perfect fitting dash cover. Over time the suns damaging UV rays will crack and fade your vehicles dash. The simple solution to this problem is the DashMat Original dash covers. These dash mats are offered in a huge array of colors, giving you the ability to match your interior color scheme. So if you want a custom fitting dash cover that looks great and protects your dash, you have come to the right place. In-dash speakers are NOT cut out of dash covers because the fabrics do not distort sounds. Covercraft is offering a lifetime warranty on the DashMat Original dash covers. The DashMat Original dash covers are designed for easy placement. They come standard with hook and loop fasteners for an easy and secure install. For additional information please call us at 877-216-5446 or 701-253-5906.